Towels made of 100% Ringspun cotton. 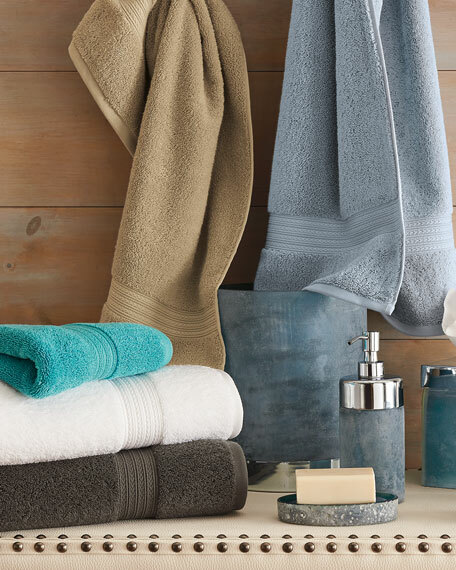 A plush and absorbent classic border towel design with twisted loops for durability. 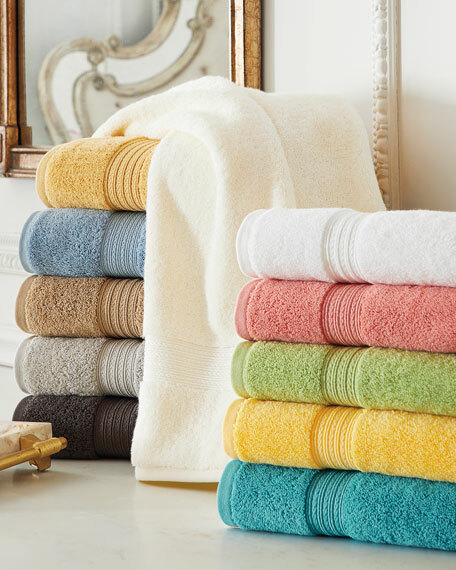 Each six-piece set includes two 28" x 53" bath towels, two 16" x 30" hand towels, and two 12"Sq. face cloths; personalization unavailable for 12"Sq. face cloths. Thick and soft, Pima cotton with dobby border. 700 GSM luxury weight. 40" x 70". Machine wash. Made in Portugal. Thick and soft, Pima cotton with dobby border. 700 GSM luxury weight. 40" x 70". Machine wash. Made in Portugal. Orders for monogrammed items cannot be canceled, and monogrammed items cannot be returned. 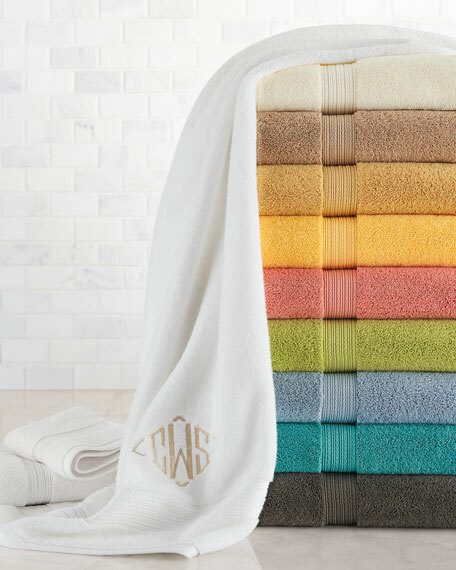 The monogram preview feature displays fabric color (not pattern), thread color, monogram style, and selected initials.